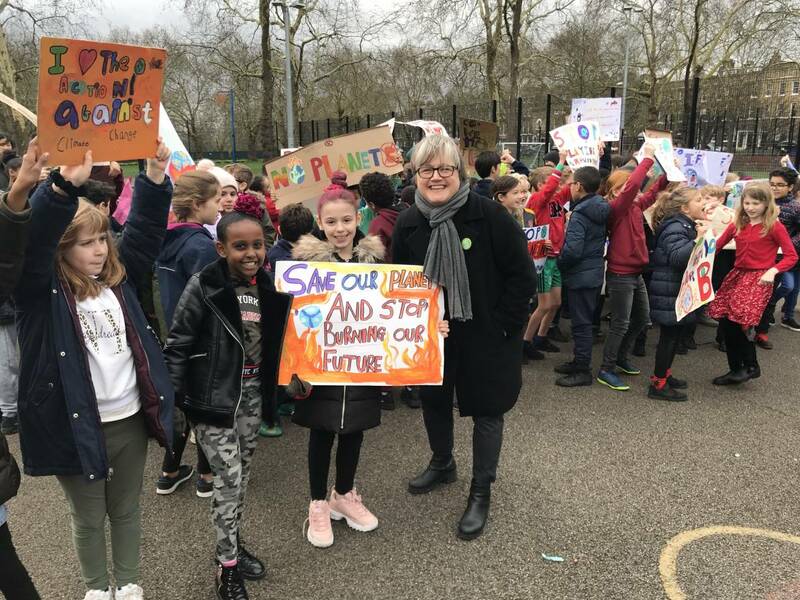 On Friday 500 children from Canonbury and Ambler Primary Schools assembled in Highbury Fields to speak and think about Climate Change. Both the Mayor of Islington and Green Councillor Caroline Russell listened to children’s speeches and said they would take the message to the council. Jeremy Corbyn, MP for Islington North and Leader of the Labour Party, expressed his support.